With a career lasting over 25 years, Shah Rukh Khan has created a legacy that will always be remembered by Hindi cinema fans all over the world. He is known as the ‘King of Romance’ and rightly so, because even after more than two decades in the movies, fans still love him enough to queue outside the theaters to watch him play a romantic hero. Earlier this morning, Shah Rukh Khan shared two images and they were packed with nostalgia. 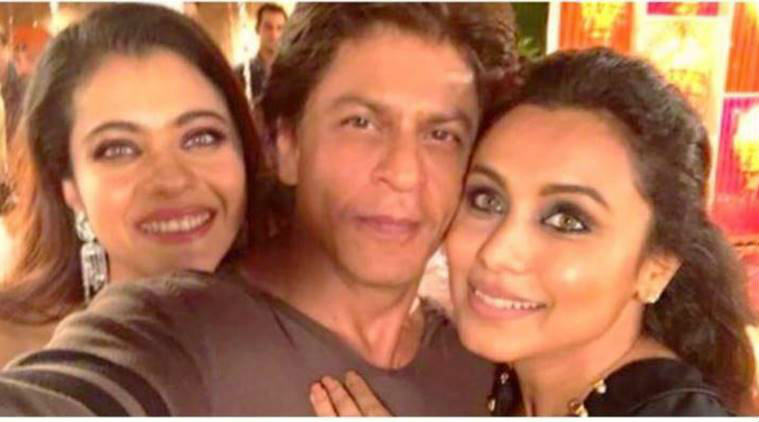 One was a reminder of the Kuch Kuch Hota Hai days with Rani Mukerji and Kajol. SRK was last seen opposite Kajol in Rohit Shetty’s 2015 film, Dilwale. But the last time the audience got to see Rani and SRK was way back in 2006 in Karan Johar’s film, Kabhi Alvida Naa Kehna. 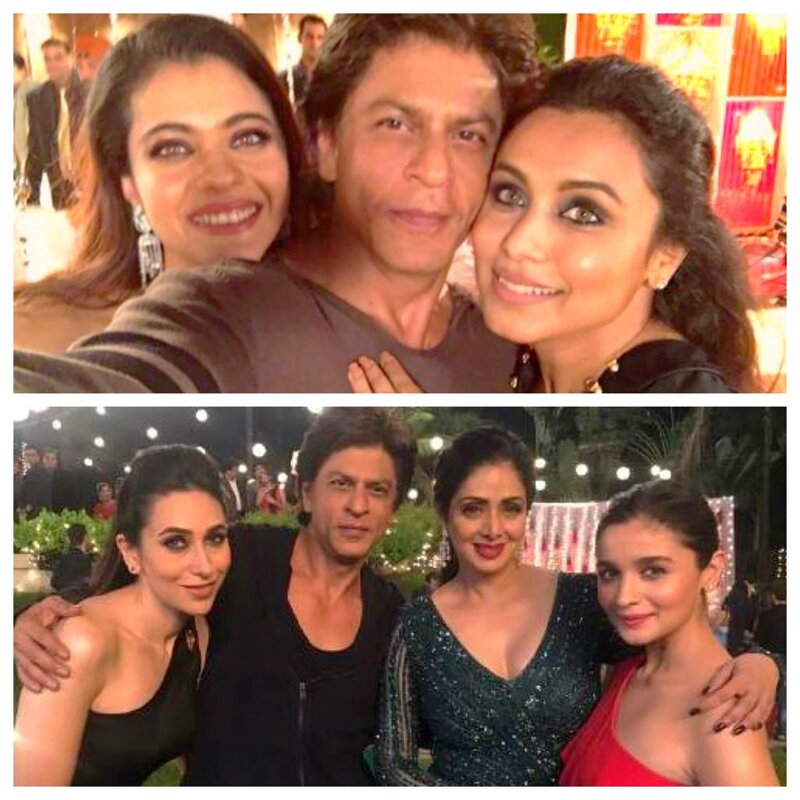 The second image shared by Shah Rukh Khan has him posing with three of his co-stars, Sridevi, Karisma Kapoor and Alia Bhatt. Shah Rukh Khan and Sridevi had worked together in the 1996 film, Army, where Shah Rukh had a small role. The characters of Karisma Kapoor and SRK were loved by the viewers in Yash Chopra’s Dil To Pagal Hai (1997) and with Alia Bhatt, SRK was seen in the role of a therapist in last year’s Gauri Shinde film, Dear Zindagi. Shah Rukh Khan didn’t attain the tag of ‘King of Romance’all by himself. His leading ladies deserve much of the credit. SRK’s career span has allowed him to work with senior actors like Sridevi as well as fairly new actors like Alia Bhatt. While some of these casting experiments were received less warmly than the others, SRK has managed to create some magic with all his co-stars. This photo is a treat for all SRK fans! Shah Rukh Khan and Ranveer Singh in Dhoom 4? Be the first to comment on "Shah Rukh Khan thanked his leading ladies and the photo is beautifully nostalgic"